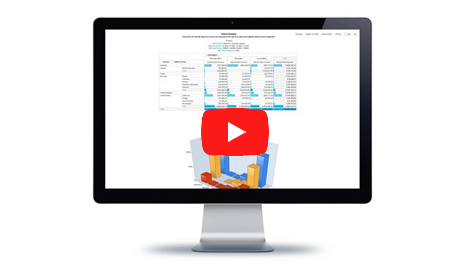 OLAP analysis within your browser with Kyubit BI software results with stunning visualizations, fast responses, many OLAP related analytic features and different approaches to analyzing OLAP data. 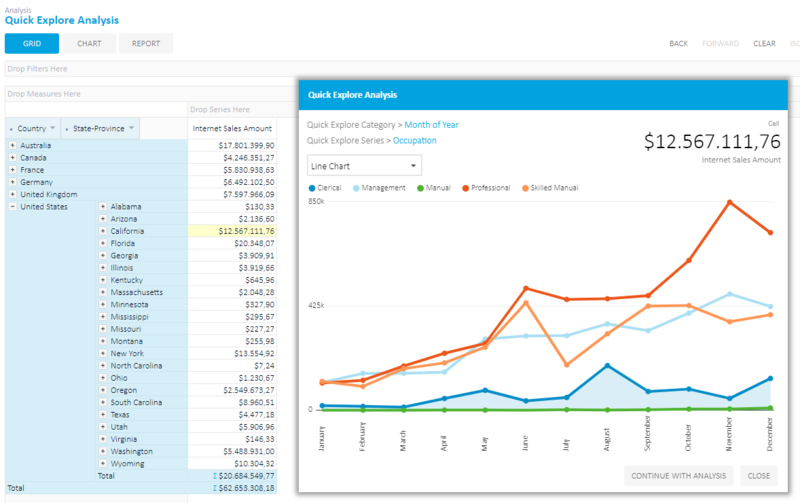 Use OLAP analysis grid with drag-and-drop features or chart analysis to analyze OLAP data to share attractive OLAP reports and dashboards. 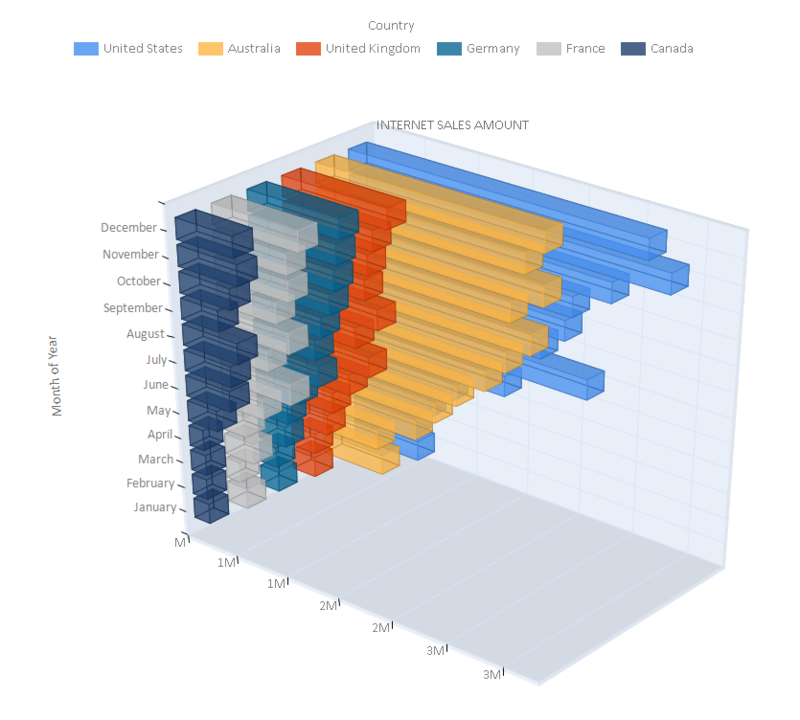 Charts for OLAP analysis provide great visual OLAP analysis and OLAP data presentations tool. 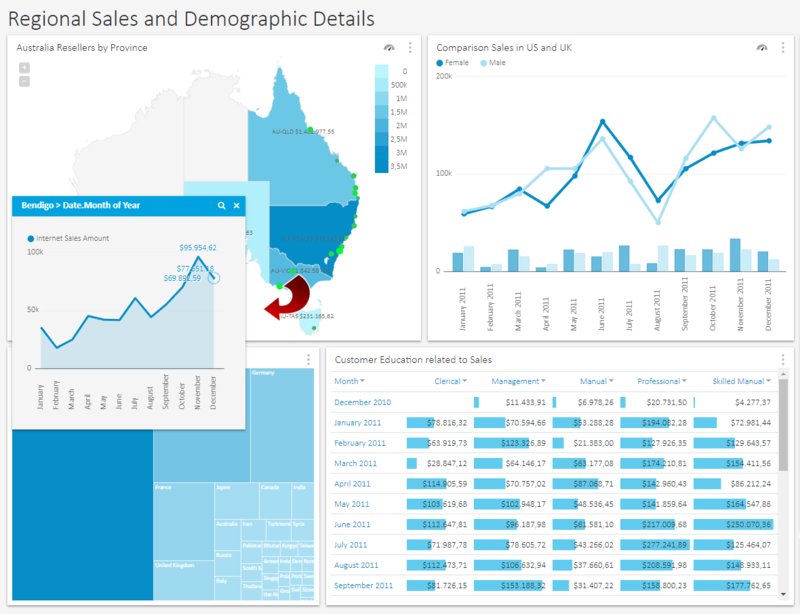 Discover OLAP data visually with Kyubit Business Intelligence interactive OLAP charts. 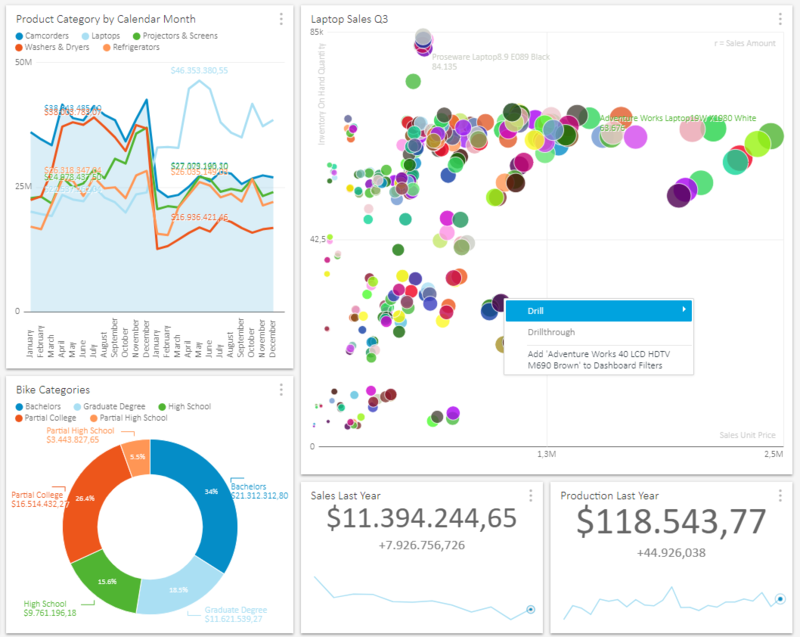 Visual nature of OLAP analysis is covered by awesome charts in Kyubit Business Intelligence, making analysis perceptual and visually attractive. 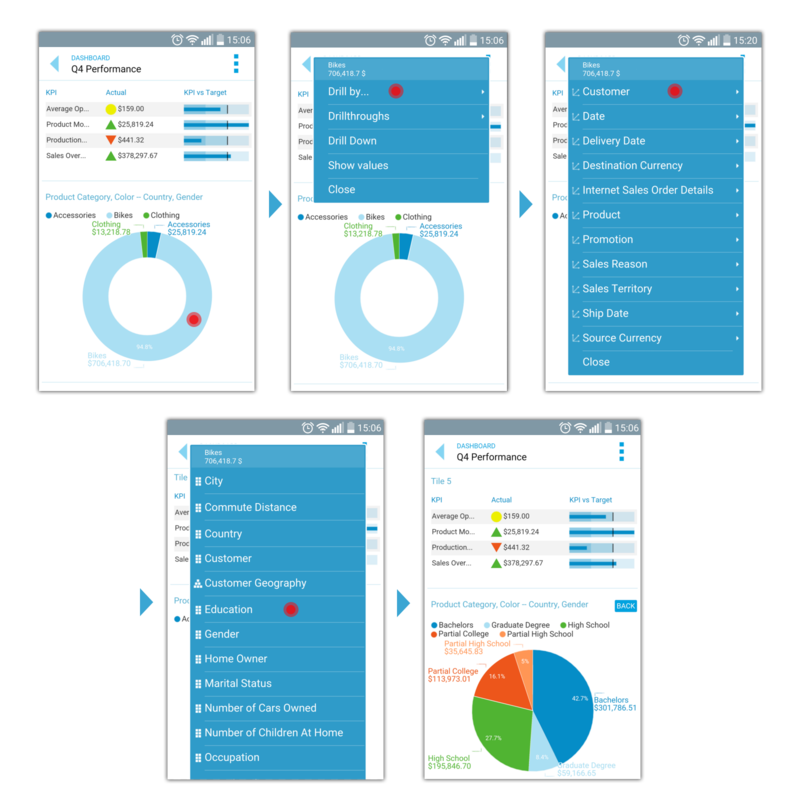 Furthermore, all usual and common OLAP analysis operations are also available in a visual manner by selecting actions from context menus which are OLAP data aware, providing interactive OLAP analysis where analyst quickly plays with data and visually explore OLAP cube data structure. OLAP dimension hierarchies are placed on two axes (Categories or Series) and allow switching to OLAP grid at any time. 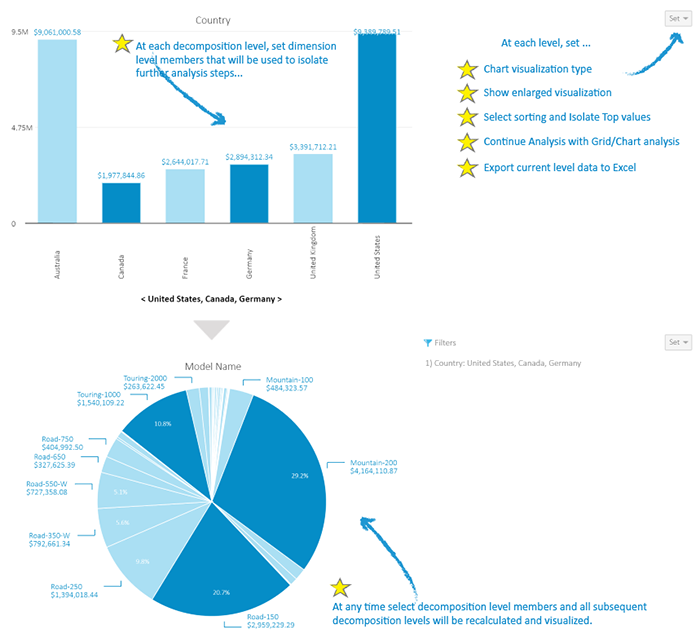 OLAP charts and analysis could be saved, shared with others, scheduled subscription or integrated with other web application. Multidimensional data models provide simple and intuitive data analytics using multidimensional structures in the form of measures and dimensions, which simplifies user interaction and answering data analytic questions. 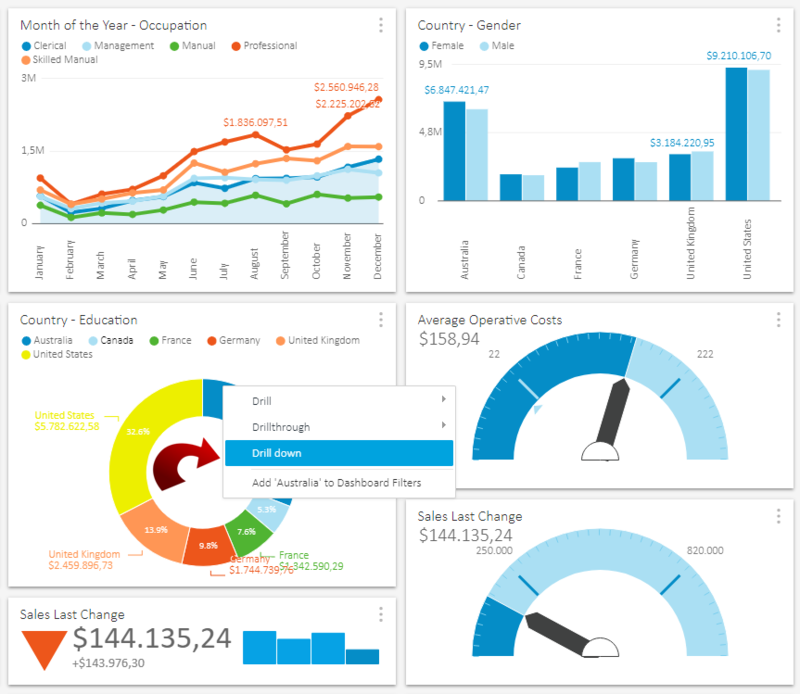 After initial dashboard data is visualized, the OLAP Analytic Dashboard is used to resolve further questions related to displayed data, discover changes, patterns, measure success and find reasons for current performance. 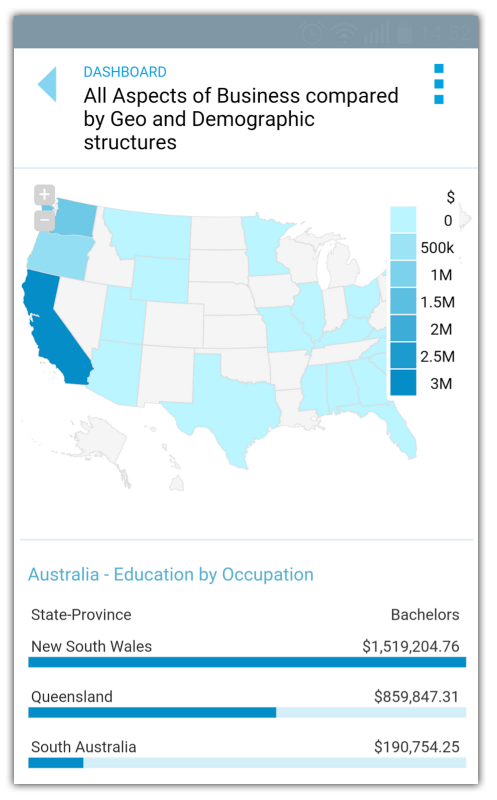 Once there OLAP data to on the dashboard, users can select different analytic approaches to further explore and analyze OLAP data with analytic dashboard features available that are available to all dashboard users using real-time data from your data sources. Decomposition OLAP analysis presents data analysis in multiple steps, while the user can see all the steps at the same time and has the ability to change each step definition at any time. Decomposition Analysis consists of analysis levels (steps) added with the option to select level members that we would like to explore in subsequent levels we are about to add to see details of analysis interest. This is data drill-down in multiple steps, with great possibility to change selected members of any level, at any time. After you click any level member, it will be included in the level selection and complete decomposition tree will be recalculated and visualized with a new selection. 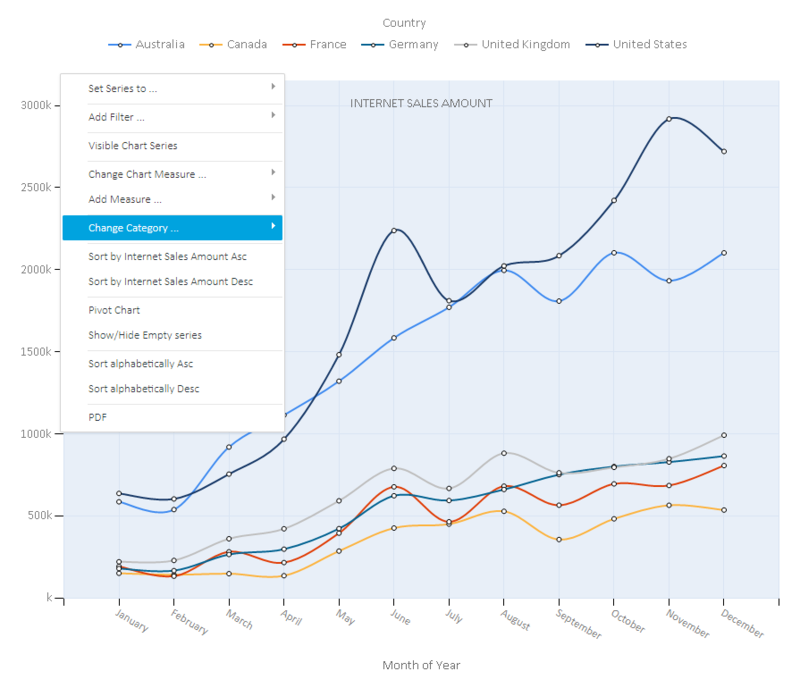 At each decomposition level, the user can select visualization type that best fit current data and nature of analysis (Column Chart, Line Chart, Pie Chart, Doughnut Chart, Table Chart). Level members can be sorted and members can be isolated by TOP n items to narrow level members display of dimensions hierarchies with lots of members. 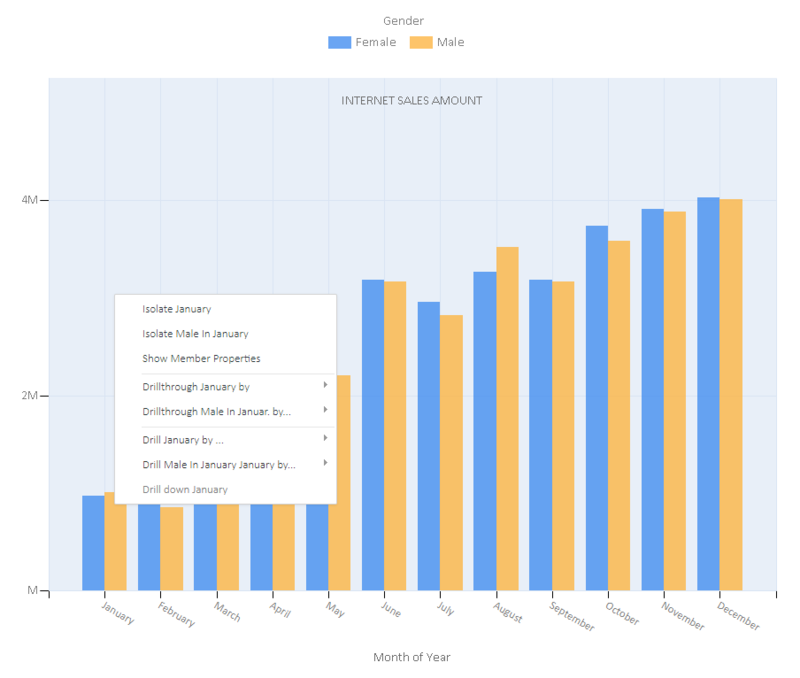 2-axes (Categories/Series) analytic grid view. Expanding dimension members hierarchically on both axes. 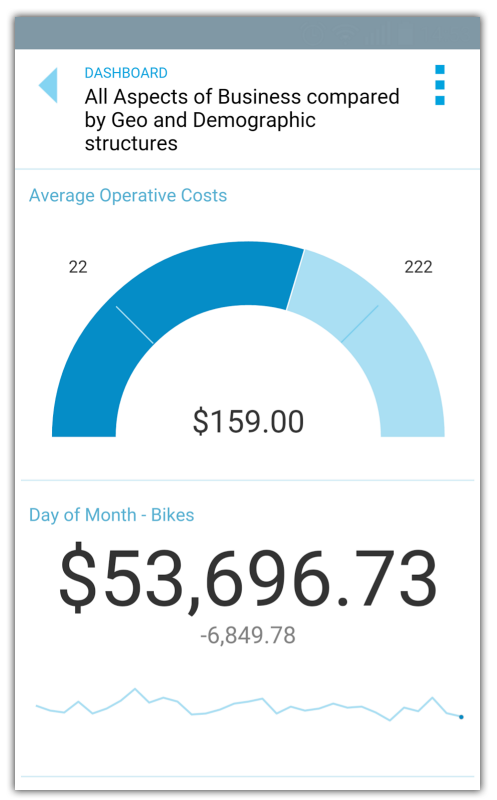 Grid supports multiple measures data display. At any time results of grid analysis could be exported to Excel/PDF file. For each interesting cell in grid analysis, user can run drill-through to see exact data that were used to show cell aggregate value. For each interesting cell in grid analysis, user can run 'Quick Explore' analysis to see other dimension level data for the same cell values. At any time grid analysis could be switched to OLAP chart analysis, and dimension hierarchies defined as root for both axis will be displayed as categories and series in the chart analysis. And later switch back to grid analysis. The Analysis could be saved and run again. The Analysis could be shared with other users on the intranet or internet. Automatic analysis history is recorded and any of last 10 analysis could be run again. 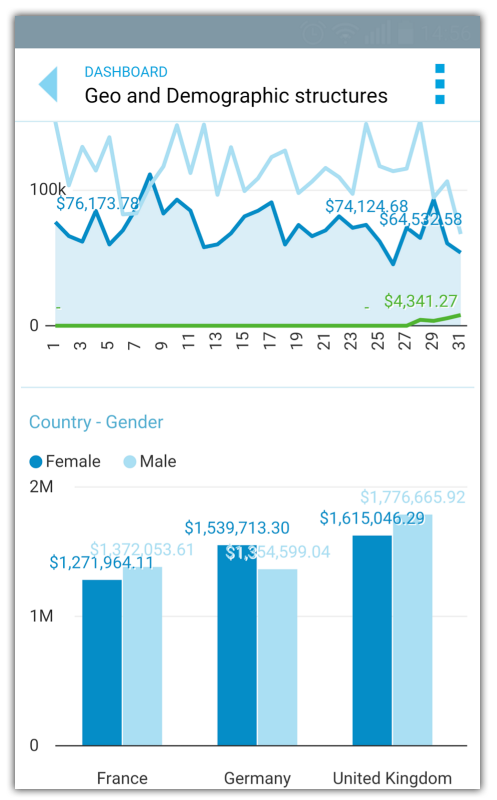 Quickly switch to report view, which is designed simple data reading by users without analytic skills. 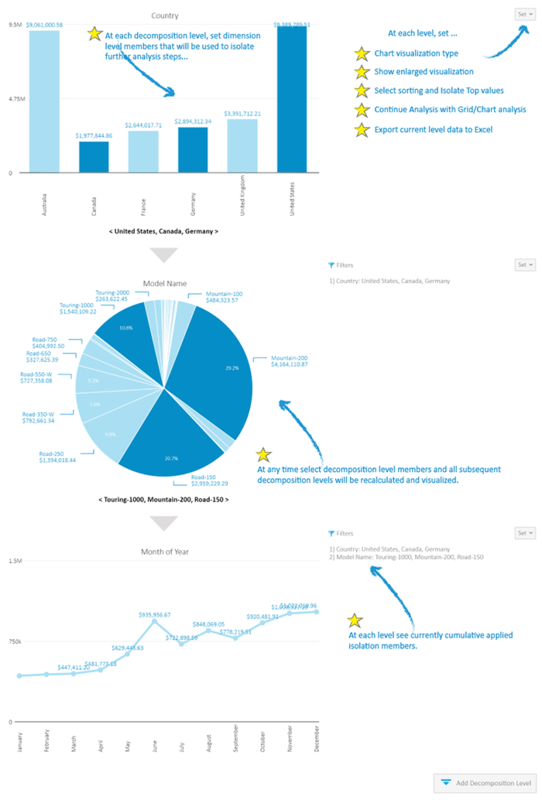 Subscribe to analysis and receive fresh analysis data at the scheduled time on email. 'Expand All' analysis mode to immediately expand all category dimensions levels added. Create ad hoc 'Calculated Measure'. Create ad hoc 'Named set'. 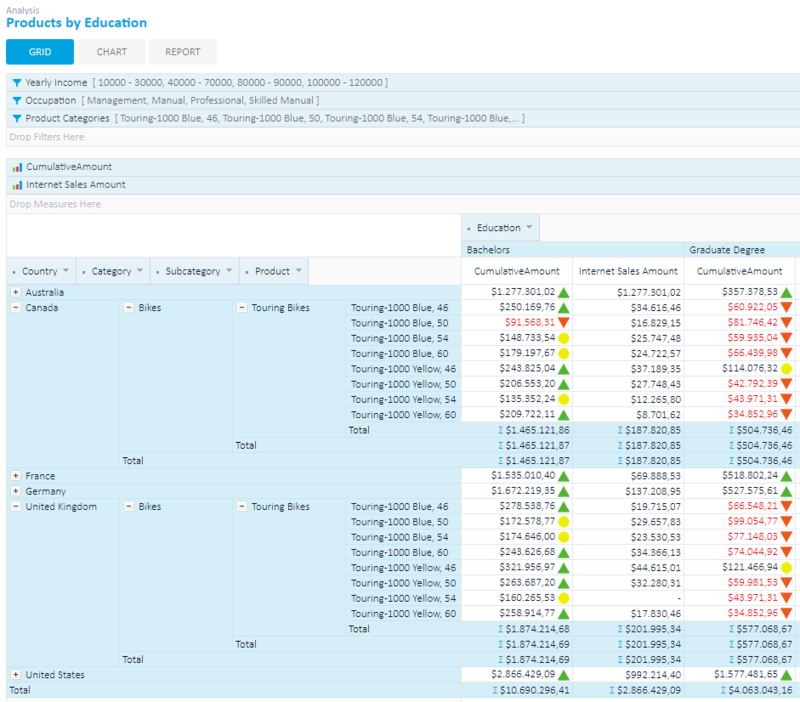 Present the grid data in one of many 'Calculations View'. Cell write-back (Update cell value in the OLAP cube). Grid conditional cell formatting (text and colors). 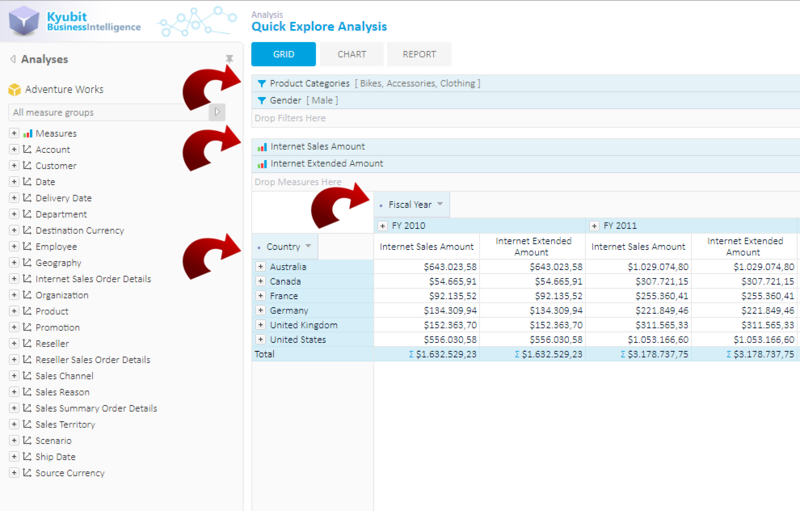 Download 30 days evaluation of 'Kyubit Business Intelligence' and see OLAP analysis features in action. 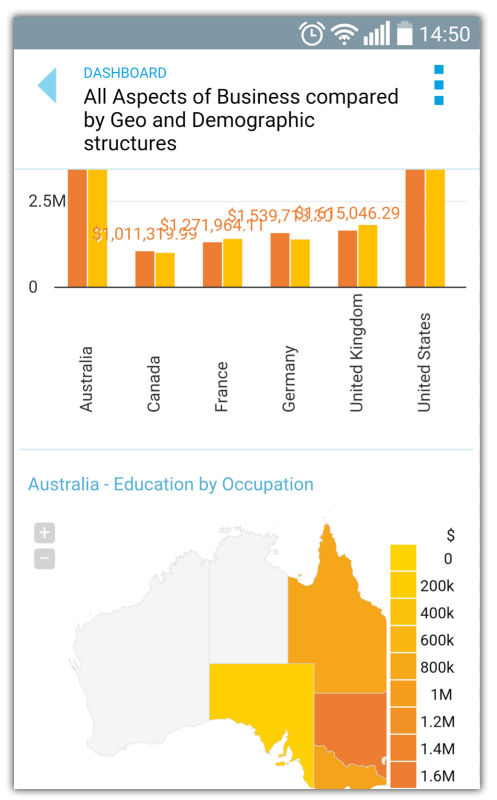 Download 'Kyubit Business Intelligence OLAP analysis - User Manual' which covers all aspects of OLAP analysis with 'Kyubit Business Intelligence'.